Wellesley Gardens is a sizable complex of brownstone style condos with a state-of-the-art fitness center for owners. These elegant units have an Ypsilanti mailing address with Ann Arbor schools and Pittsfield Township taxes. There are currently 3 units listed for sale, and last year 20 sold. $175,000. 3360 Endsleigh Ln, Ypsilanti. 1487 square feet with 2 bedrooms and 2.1 baths. $172,500. 5700 Wellesley Ln, Ypsilanti. 1316 square feet with 2 bedrooms and 2.1 baths. $168,900. 5603 Hampshire Ln, Ypsilanti. 1341 square feet with 2 bedrooms and 2 baths. $193,000. 5679 Hampshire Ln, Ypsilanti. 1975 square feet with 3 bedrooms and 2.1 baths. $172,000. 5732 Wellesley Ln, Ypsilanti. 1487 square feet with 2 bedrooms and 2.1 baths. $165,000. 5720 Wellesley Ln, Ypsilanti. 1487 square feet with 2 bedrooms and 2.1 baths. $168,000. 5741 Wellesely Ln, Ypsilanti. 1487 square feet with 2 bedrooms and 2.1 baths. $166,000. 5555 Hampshire Ln, Ypsilanti. 1316 square feet with 2 bedrooms and 2.1 baths. $166,000. 5676 Hampshire Ln, Ypsilanti. 1316 square feet with 2 bedrooms and 2.1 baths. $166,000. 3418 Endsleigh Ln, Ypsilanti. 1435 square feet with 2 bedrooms and 2.1 baths. $166,000. 5647 Hampshire Ln, Ypsilanti. 1316 square feet with 2 bedrooms and 2.1 baths. $165,000. 5752 Hampshire Ln, Ypsilanti. 1487 square feet with 2 bedrooms and 2.1 baths. $165,000. 5734 Hampshire Ln, Ypsilanti. 1487 square feet with 2 bedrooms and 2.1 baths. $165,000. 5736 Wellesley Ln, Ypsilanti. 1316 square feet with 2 bedrooms and 2.1 baths. $164,900. 5660 Hampshire Ln, Ypsilanti. 1487 square feet with 2 bedrooms and 2.1 baths. $162,000. 5733 Hampshire Ln, Ypsilanti. 1341 square feet with 2 bedrooms and 2.1 baths. $161,500. 5737 Hampshire Ln, Ypsilanti. 1380 square feet with 2 bedrooms and 2.1 baths. $161,000. 5726 Hampshire Ln, Ypsilanti. 1341 square feet with 2 bedrooms and 2.1 baths. $160,000. 5686 Hampshire Ln, Ypsilanti. 1318 square feet with 2 bedrooms and 2.1 baths. $160,000. 5576 Hampshire Ln, Ypsilanti. 1341 square feet with 2 bedrooms and 2.1 baths. $158,500. 3356 Endsleigh Ln, Ypsilanti. 1341 square feet with 2 bedrooms and 2.1 baths. $156,000. 5688 Wellesley Ln, Ypsilanti. 1380 square feet with 2 bedrooms and 2.1 baths. $147,000. 5605 Hampshire Ln, Ypsilanti. 1341 square feet with 2 bedrooms and 2.1 baths. Condo prices have really rebounded at Wellesley Gardens. 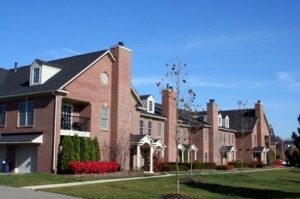 The low in 2010 saw 20 units sold with an average sale price of $106,800 and average price per square foot of $76.96. In 2014, the ASP was $164,595, up 54%, and the A$SF was $117.00, up 52%. To learn more about values and condos for sale at Wellesley Gardens, give The Bouma Group, Ann Arbor Condo specialists a call at 734-761-3060 or email info@bouma.com today!